While somewhat shy, this angel is one of the easier angelfish to keep. It requires a tank of 180 gallons or more with multiple hiding places and live rock for grazing. 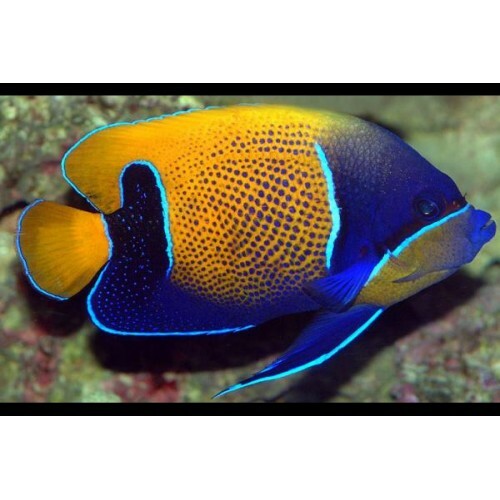 The Blue Girdled Angelfish is not a good reef dweller, being prone to nip at stony and soft corals (sessile invertebrates) and clam mantles. It generally will not harm small-polyped stony corals and somewhat noxious soft corals.